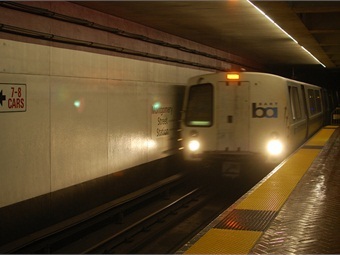 SAN FRANCISCO — Days after acknowledging that most of the security cameras on BART trains were decoys but defending their use, transit agency officials said Wednesday they will phase out the fakes and replace them with working cameras, SF Gate reported. The announcement came less than a week after The Chronicle revealed that the vast majority of what appeared to be cameras mounted on the ceilings of BART trains were dummies intended to fool riders, and that as a result the agency failed to capture video footage of a Jan. 9 fatal shooting of a man aboard a train at the West Oakland Station, the report said. BART officials are working out the details, a spokesperson said, including the type of technology, the schedule for outfitting cars with cameras and how much the conversion will cost, according to SF Gate.